6 tips to help you prepare for the birth of your Babywise Baby. What to read, what to physically prep, and what to plan on and plan for. It is amazing how much time we spend planning and prepping for the actual birth of a child and how comparatively little time we spend preparing for what our day to day lives with look like with that baby in it. Find a birth plan here. 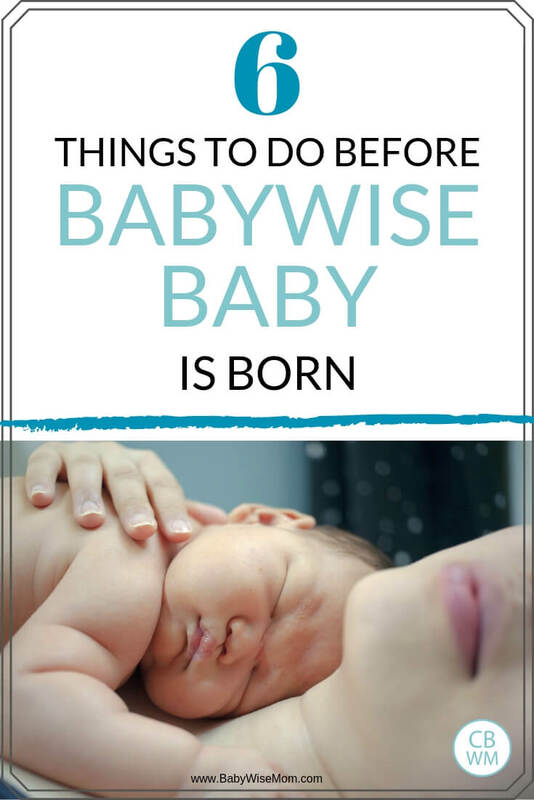 Brush up on your copy of Babywise. Bookmark parts of the On Becoming Babywise book you especially want to refer to once baby is here. If you are looking to follow the Babywise Method, chances are you are hoping for some great baby sleep. 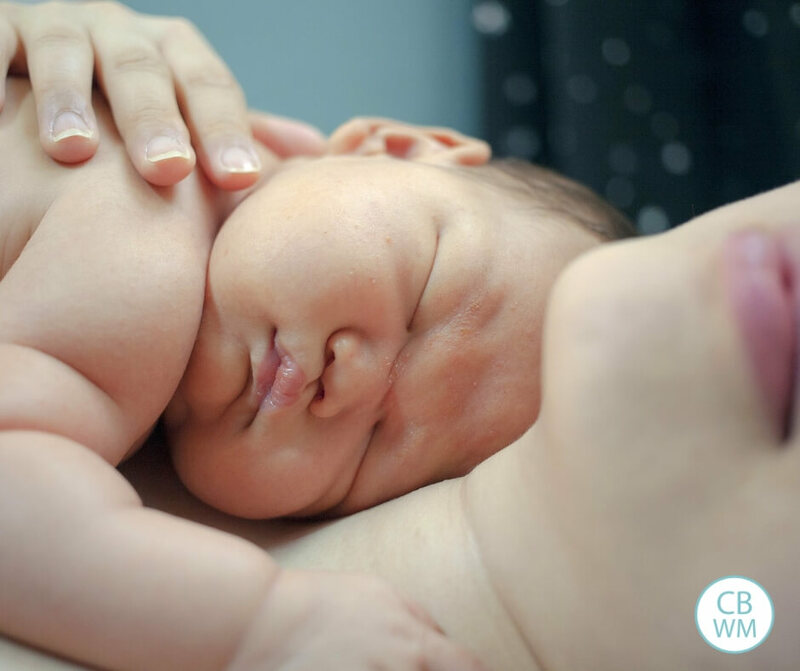 Baby wise is full of great tips to help you get some solid sleep. Have posts from this blog ready to pull up when you need it. Here are some you will find especially helpful. Sleep Training: The Four S’s — this is my favorite for sleep training! 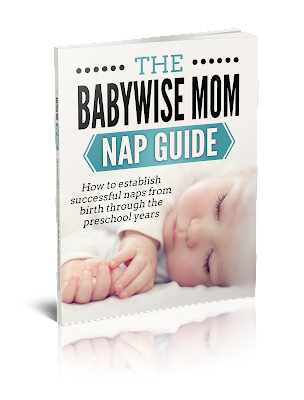 You will also find my eBook The Babywise Mom Nap Guide super helpful. You want to have a space for baby to sleep in. The ideal is a nice room that is quiet and can be darkened if baby needs. A newborn doesn’t need that necessarily, but baby soon does better in an ideal sleep environment. I have written a post all about the ideal set up for your Babywise Baby’s Nursery. If you are not in the ideal, do not stress. I have had babies without the ideal and it all works out. Just make things work the best you can. Decide where baby will take each nap and sleep at night. This might be the same place for every nap and every night. It might need to change, especially if noisy things are happening next to baby’s room during the day or if there is a sibling sharing a room with baby. My second baby took some naps in the crib in her room and others in the bassinet in my bedroom. Where she slept depended on what was happening at the time. Her first nap was in my room because Brayden had independent playtime in the room right next to her’s. I didn’t want him to wake her up as he played. Babies rotate through the sleep cycle about every 45 minutes, and if things are noisy at that transition, you risk waking up baby. This can be hard to plan for. Not all babies will sleep in a swing. It can be nice to borrow things from friends or family members who are not using them until you know what baby really prefers. As you create this schedule, stay flexible. You do not want to be frustrated if baby doesn’t fit into the schedule well. If your ideal plan doesn’t work out with how baby’s personality ends up being, adjust the best you can. This will just help you be ready and be in a mindset to be consistent, especially with morning wake up time and with bedtime. 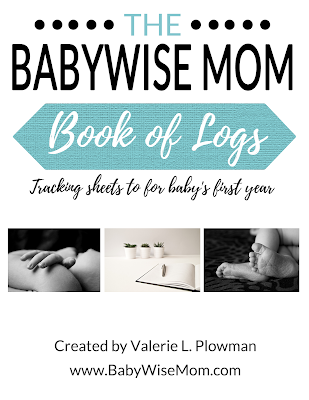 My Book of Logs eBook is super helpful for tracking all of your schedule needs and adjusting the schedule for your individual baby. These are the logs I used with my babies. They really help you see baby’s patterns and needs. Know your sleep schedule goals. When do you want naps to happen? When do you want bedtime to happen? When do you want the day to start each day? Know your feeding goals. Understand hunger cues so you can always feed baby when hungry. Know how many feedings you should minimally have in a day so you are sure you have that many scheduled. This will help you know how many daytime feedings and how many night feedings you will ned to plan on. Decide if you want to try cluster feeding or if you want to try a dreamfeed. Maybe you will want to try both! You will have many visitors who want to come see your baby. This is a great thing! Decide how you want to handle visitors. Do you want to have people drop in anytime? Do you want to ask them to come between certain hours in the day? Do you want them to come on certain days and not others? Do not be afraid to ask for what you need. I remember being up late with my first with visitors, just wishing they would leave so I could go to sleep. By my fourth, I responded to late texts asking them to come the next day because I just needed to sleep. There will be circumstances where you will make sacrifices for your visitors, but as a general rule, visitors should be willing to work around you–the person who just gave birth to a little human. Even if you adopted and did not give birth, you will be emotionally and physically drained. It is okay to ask people to work around what works for your sanity. This might stay true with a new baby, but you also might find you have raging hormones after delivering a baby and you want more privacy. So have a reasonable plan in place that you can implement if you decide you need some structure to visitors. You can plan all you want, but there will be much out of your control. My second child was in the NICU. This very much changed how I felt about visitors–I was much more protective of her and didn’t want anyone getting her sick or messing with her. It also changed when we came home. These simple things can help you be more prepared to welcome your Babywise baby home and integrate baby into your daily life. You will need to change what your daily routine looks like, but with these steps, you can add baby to your life and have your life shift to add baby to it. If you are looking for more help to prepare for your baby, be sure to read up on my Must Read Posts to Prepare for Baby. On Becoming Babywise is written by Robert Bucknam and Garry Ezzo. 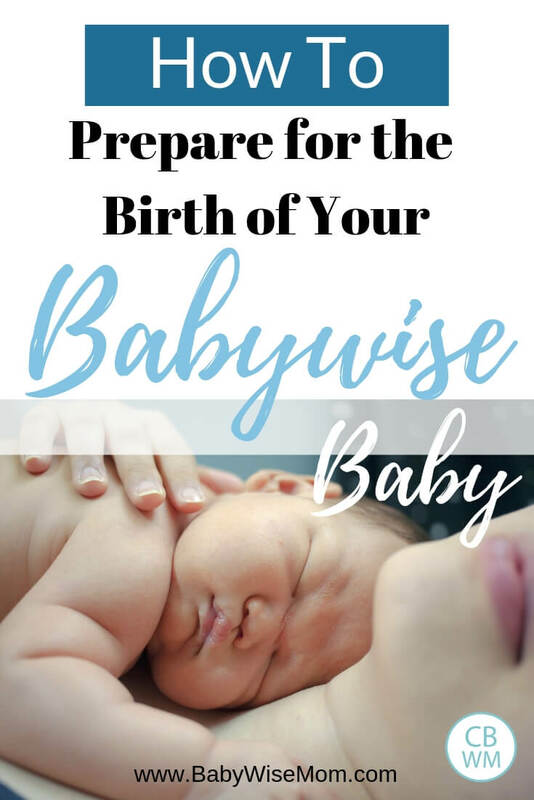 Get your copy here and read about Babywise.